Killer Characters: Cursed or Charmed? I'm beginning to think I'm cursed. Seriously. What Meemaw wants, Meemaw gets, but when she deeded me the old farmhouse off the square and got me to come on back to Bliss, did she know I'd be surrounded by murder? First Nell Gellen, and now...a golf pro? Who would want to kill a golf pro? And how did I get wrapped up in it? Bad luck, that's the only explanation. Two murders. And here I have the Margaret Moffette Lea pageant to take over, elaborate gowns to make, and the mystery of why there are old Margaret dresses in Meemaw's old armoire. I KNOW it goes back to Butch Cassidy, my great-great-great-granddaddy, but I just can't quite figure out how...or why. And I don't have any time to think about it now. 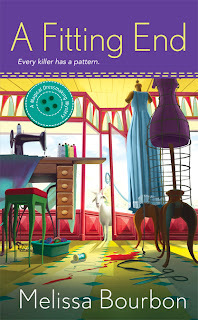 Libby Allen'll be here any minute for her fitting, and I have to find Zinnia James. The senator's wife went MIA after Vance's body was discovered. Bless her heart, I think she's afraid she'll be accused. Be careful what you wish for...that's what Meemaw never understood about her charm. And now here I am in the thick of another crime. Am I cursed instead of charmed? 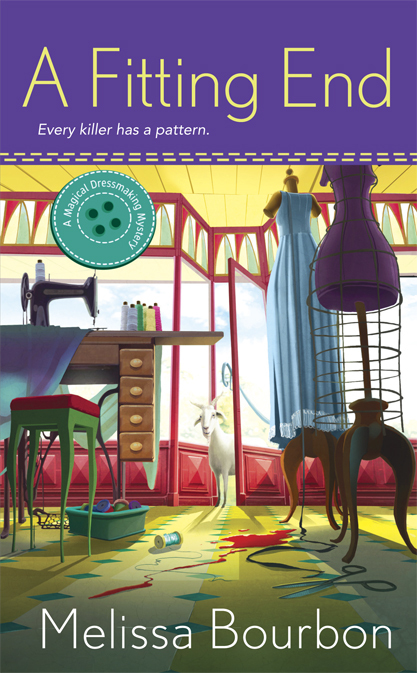 This sounds like fun -- dresses & Texas & murders! You're one busy gal. Can't wait to read all about it. Really enjoyed the first book, and I'm very much looking forward to the second one! You had me at Butch Cassidy!! LOL. 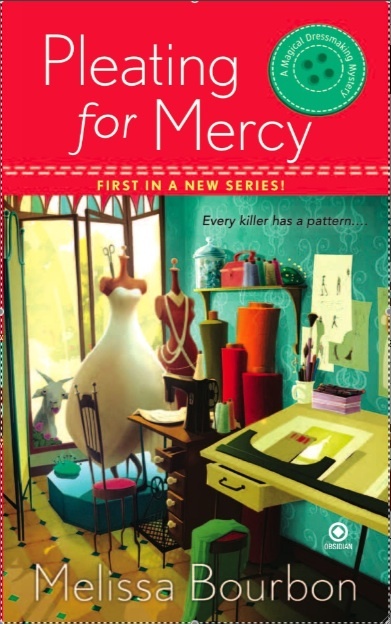 Dressmaking is busy enough... add in murder, and, oh boy, it's crazy, Erika! Love the cover and I can't wait to read this book. Golf pro? Very interesting.